I guess i received this package some time this week but I get all my pinmail sent to my parent’s house. I came home today for a bit before heading to the airport. I saw @nutmeg’s name and address and got super excited! Sarah also included a pin that says “i support women in science” (that’s going on the work lanyard), and inspirational quotes from women in STEM. Gonna need a frame for those to take to my office! Booger1964, TinyTink, PixiePost and 5 others like this. Hooray for women!!! Amazing zap, way to go Sarah! Congrats on an awesome zap! 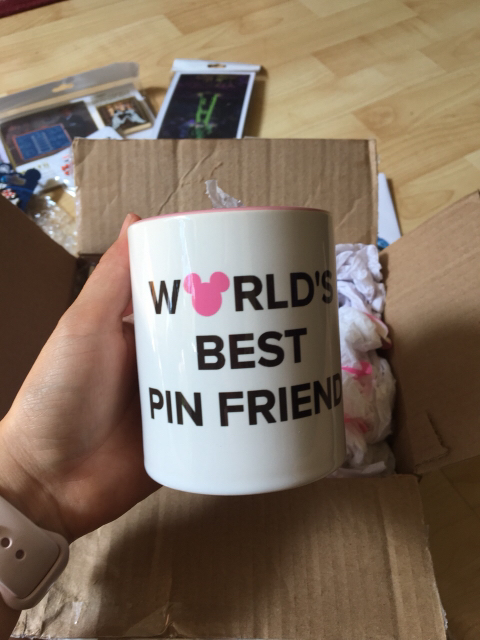 Love the mug! What an awesomely thoughtful and amazing zap. Congrats! Oh ho ho the Nefarious @NutMeg is back on the prowl! Congrats on an awesome package! What a lovely package full of joy! Congrats!